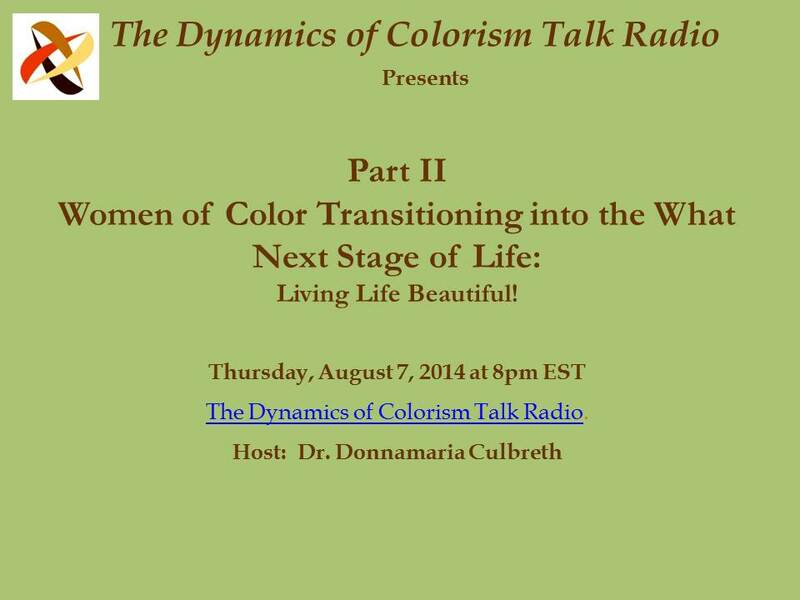 women of color | The Intraracial Colorism Project, Inc.
New Book by Dr. Donnamaria Culbreth focuses on women of color transitioning into and living life in their fifties as they rebalance and embrace their psychological, emotional, physical, and social well-being. The fabulous fifties is a time for women of color to celebrate, rejuvenate, enhance, and empower themselves to begin living life fabulous! 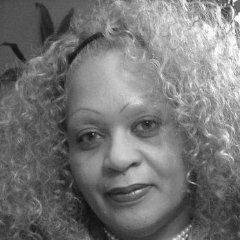 The power to live life fabulous is within every woman of color transitioning into and living life in their fabulous fifties. If they think it and believe it, they will achieve it! 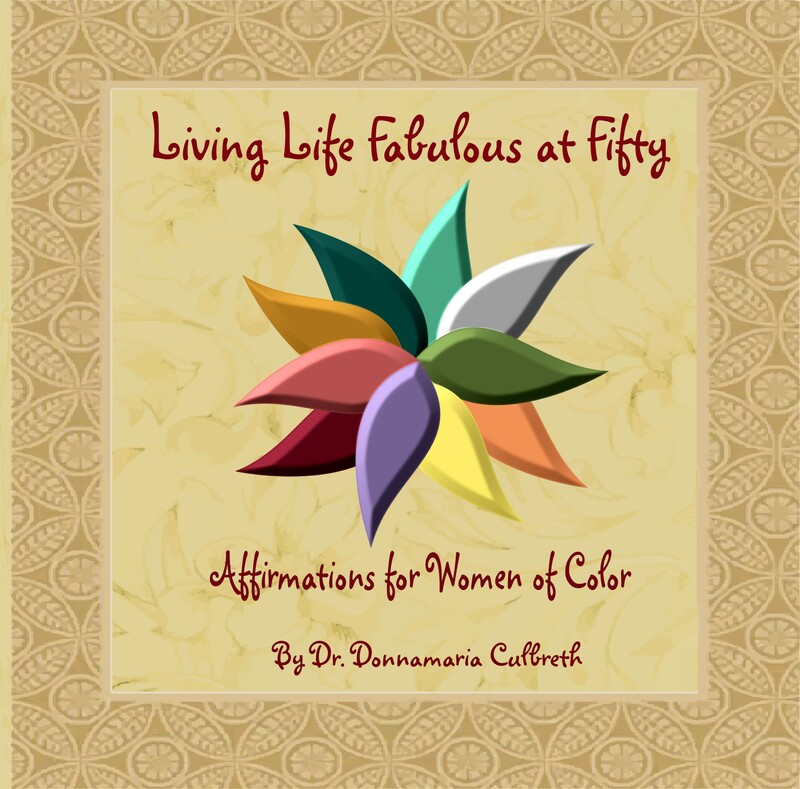 Living Life Fabulous at Fifty: Affirmations for Women of Color contains 140 positive affirmations and explanations written specifically for women of color as a self-help/motivational guide as they learn to live life fabulous. Affirmation topics include the fabulously fifty bucket list, being a trailblazer and torchbearer, colorism, hair, standards of beauty, resiliency, refusing to settle, destination success, personal space and time, change, intimacy, gratifying love-making, physical changes, menopause, and the Principles for Living Life Fabulous among other topics. 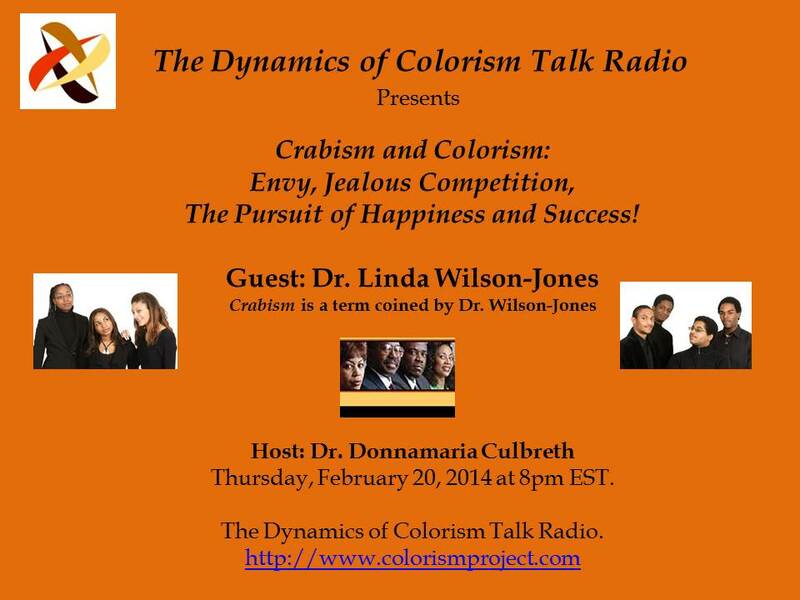 Dr. Culbreth is the founder and CEO of The Intraracial Colorism Project, Inc., a project dedicated to addressing colorism. She is also the founder and CEO of I Am Beautiful Global, Inc., an organization that focuses on girls of color learning to love and embrace the color of their skin. Recently, she created the National Girls and Women of Color Council, Inc. (NGWCC) which will be a worldwide organization for women and girls of color. The mission of NGWC is to bring together girls and women of color worldwide to address race, color, collaborate, share, discuss, and take action to eliminate the numerous barriers that continue to affect the psychological, emotional, physical and social growth and well-being of women and girls of color. NGWCC will officially launch in 2015. Professionally, Dr. Culbreth is the Managing Partner of Culbreth & Jung-Kim, LLC, an education, management and human resource management consulting firm. She is also a business and legal studies professor, Host of The Dynamics of Colorism Talk Radio, Editor-in-Chief of the Journal of Colorism Studies, Founder of Fabulously Fifty Women of Color, and President of Complexity Publishing, LLC. Dr. Culbreth believes in empowering girls and women of color to reach higher ground in life. She focuses on encouraging them to embrace being beautiful on the inside and outside, the importance of positive thought processes, embracing diversity, to live life beautiful and to live life fabulous by focusing on the Foundation Elements of Beautiful and the Principles of Living Life Fabulous, to dream in color as they reach for the stars, and to believe in themselves. She focuses on girls and women of color defying stereotypes and breaking down skin color and racial barriers, and biased standards of beauty that continue to ignore the diversity of girls and women of color. In her spare time, Dr. Culbreth enjoys spending time in the Appalachian Mountains with her husband and dogs. She also enjoys gardening, conducting research, writing, and playing the piano. She has one daughter, Ada Elizabeth. 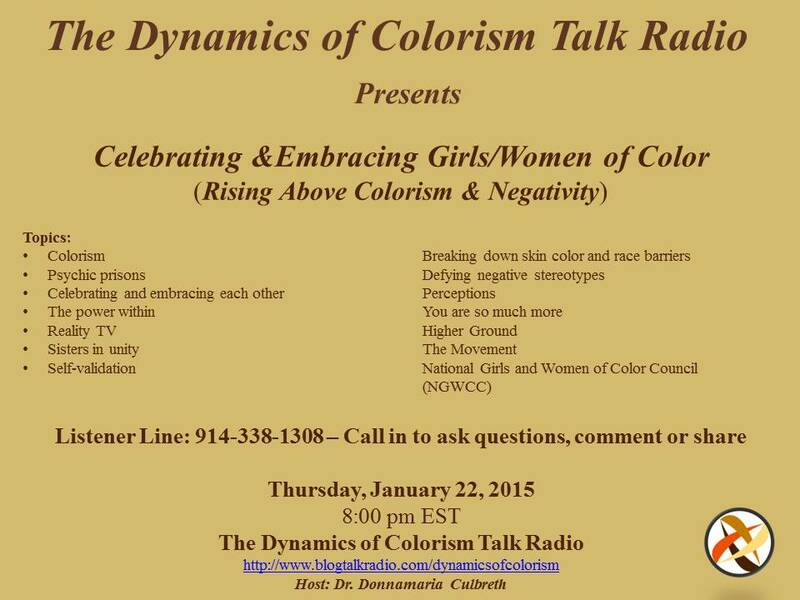 The Dynamics of Colorism Talk Radio is two years old. Join us as we celebrate! 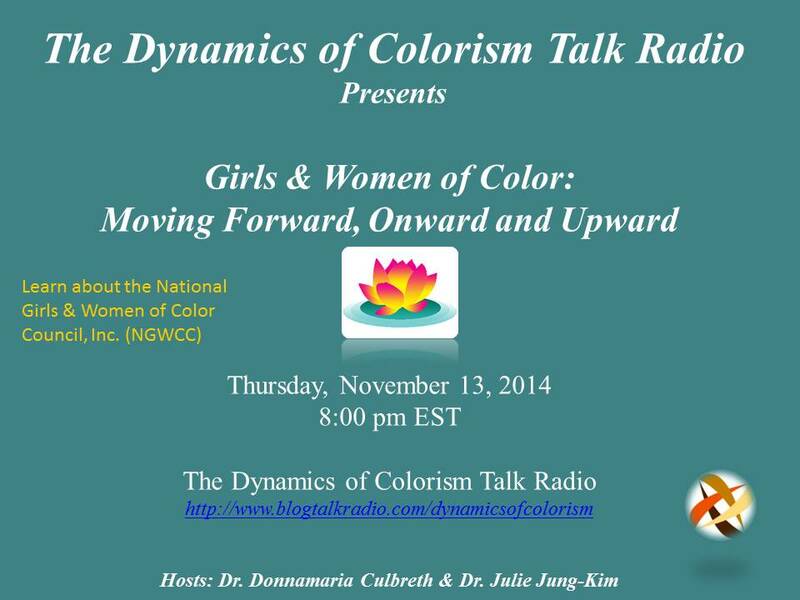 Join Dr. Culbreth and Dr. Jung-Kim for an introduction to the National Girls and Women of Color Council, Inc.
Join Dr. Culbreth, Dr. Jung-Kim and Dr. Styles for a discussion on women of color and the emotional, physical and psychological issues they experience during and after transition into the what next stage in life. 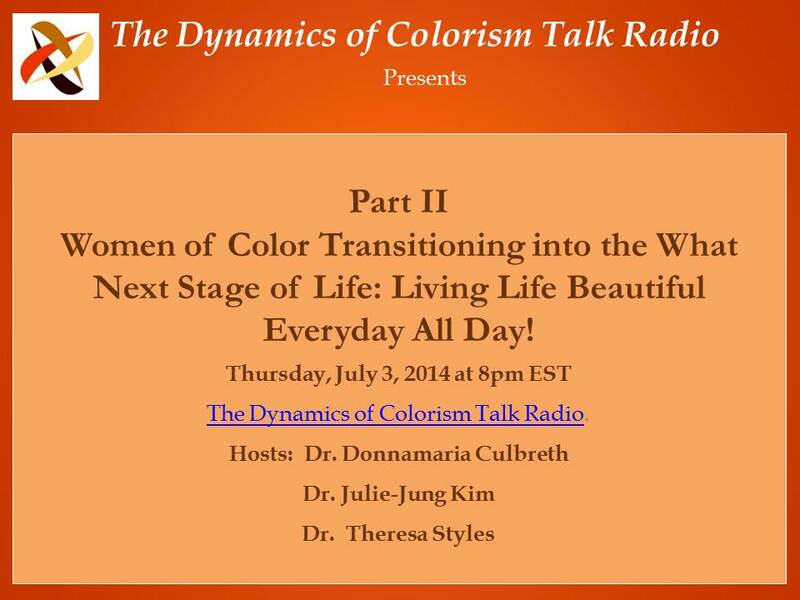 Women of Color Transitioning into the What Next Stage in Life: Living Live Beautiful Everyday All Day! 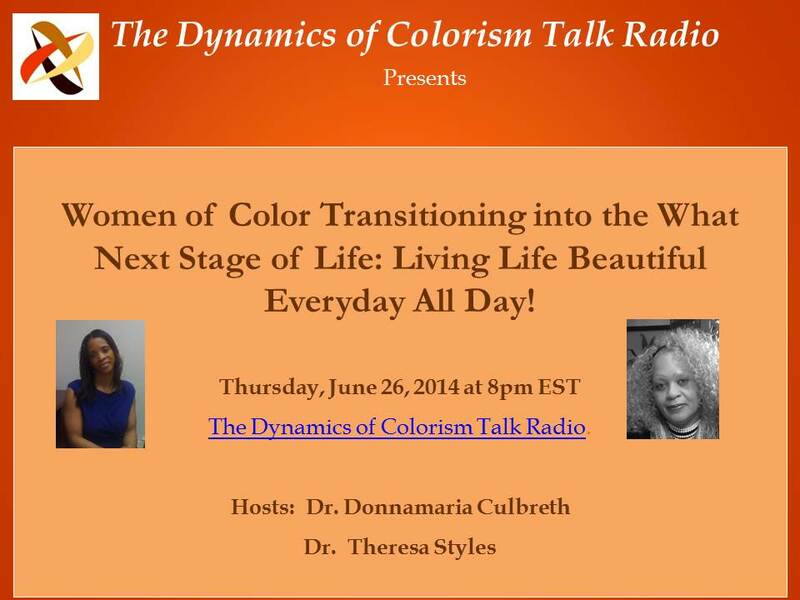 Join Dr. Culbreth and Dr. Theresa Styles, author, consultant and founder of All This Goodness for a discussion on Women of Color Transitioning into the What Next Stage of their Lives:Living Life Beautiful Everyday All Day! Emotional, physical and psychological transitions in life. How do you find the right healthy balance? Taking care of yourself: sexual, skin, hair, nutrition, relationships, family,etc.